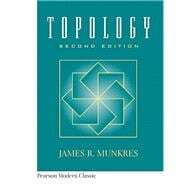 For a senior undergraduate or first year graduate-level course in Introduction to Topology. Appropriate for a one-semester course on both general and algebraic topology or separate courses treating each topic separately. This text is designed to provide instructors with a convenient single text resource for bridging between general and algebraic topology courses. Two separate, distinct sections (one on general, point set topology, the other on algebraic topology) are each suitable for a one-semester course and are based around the same set of basic, core topics. Optional, independent topics and applications can be studied and developed in depth depending on course needs and preferences. 13. Classification of Covering Spaces. 14. Applications to Group Theory.